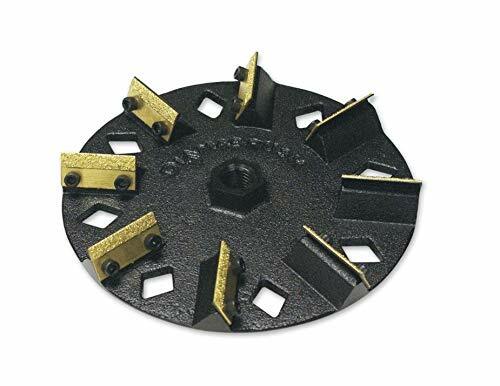 12" Scrub orbiter brush. 0.015" Bristle diameter. Made of crimped polypropylene material. For 550MC orbiter floor machine. Green color. 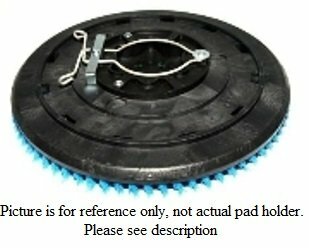 12" Pad driver holder. Black plastic with teeth. 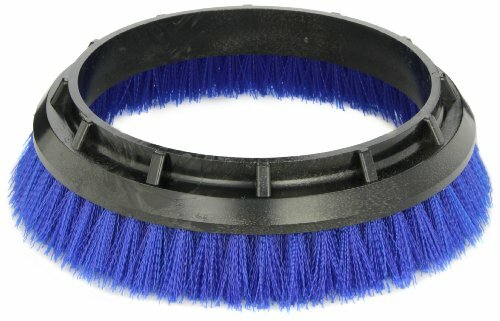 10.5" Scrub orbiter brush. Made of crimped polypropylene material. For 550MC orbiter floor machine. Blue color. 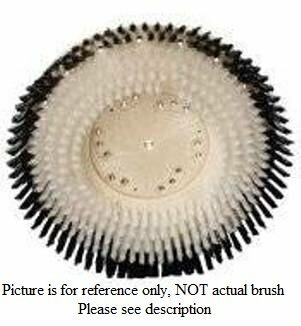 Bissell Commercial 12" SCRUB BRUSH (GREEN) .015" Bristle Diameter Crimped Polypropylene. 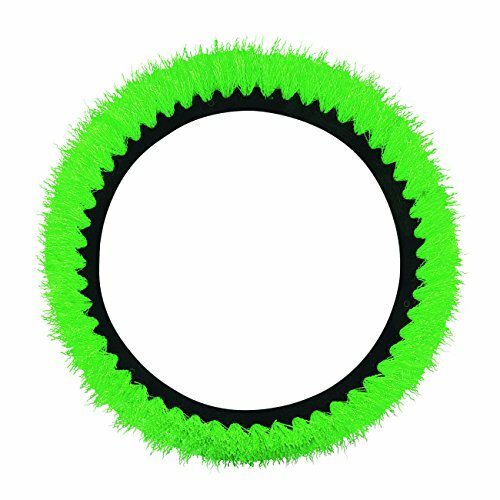 This Rubbermaid Commercial Low-Profile Carpet Bonnet with Green Scrubber Strip is a standard 17" in diameter. These carpet bonnets make floor cleaning easy. 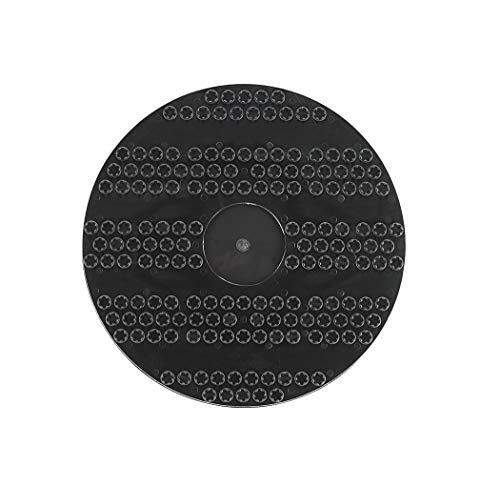 This carpet bonnet is intended for use with 175-300 RPM floor machines (sold separately). 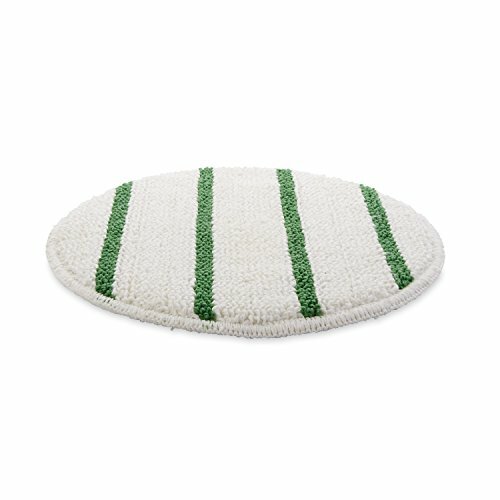 This bonnet includes scrubber strips for stubborn spots. Easy Motion Floor Machine Commercial grade multi-purpose floor machine. Easy to use finger control. Extremely versatile and effective for all flooring surfaces. PORTABLE CORDLESS DESIGN: Powered by built-in rechargeable 3.65V 2150Mah battery, the electric cordless spin scrubber can last continuously up to 1 hour after only 3.5 hours fast charging. The 360 degree high rotate speed meets your need of long working duration to clean and wipe the dirt thoroughly without interruption. POWERFUL WITHOUT NOISE: High-torque spinning power up to 260RPM and built-in 2150Mah Li-ion Battery enable you to scrub any dirt in your house. However, the volume within 70db for idling, but can be controlled within 80db when you do the cleaning. 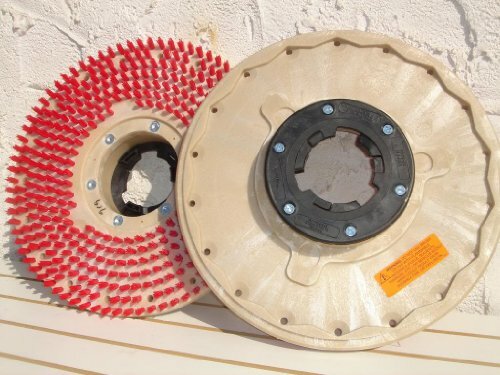 3 REPLACEABLE BRUSH HEADS: Big flat head is used to clean large flat surface area; Round Brush head services as a concave cleaner for bathtub or sink; Corner scrubber head ideals for cleaning tight and hard to reach places. Interchangeable Brushes for multi-purpose uses to get rid of soap scum. Flexible and durable bristles gets into cracks and crevices with supreme effectiveness! Search Homitt brush heads can be bought extra replaceable brush heads. WATER-RESISTANT & SAFE: The power scrubber brush head built for long-lasting performance. The highly sealed design makes it also resistant to splashing water and can be used under wet condition. 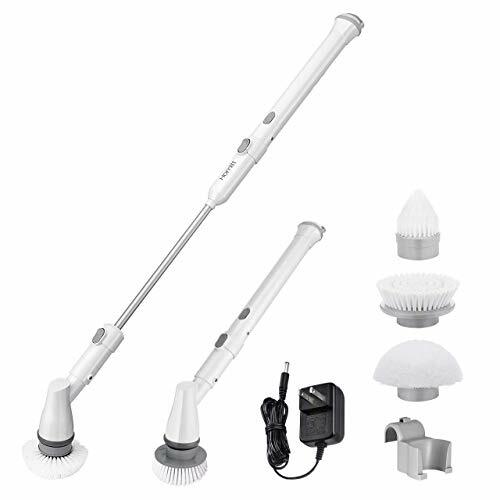 EXTENSION ARM AND A HOOK INCLUDED: Different from other electric scrubber, Homitt scrubber comes with a 18.5-inch extendable handle for you to scrub and clean hard to reach corners without bending, especially healthy for back pain and arthritis. And a portable hook help to hang Homitt cordless scrubber easily after using. Warranty: 12-month worry-free guarantee & 60 days money back guarantee. 20" Pad driver to fit 21" Model Floor Machine Buffer/Polisher/Scrubber. Comes with Riser and NP-9200 clutchplate installed. Here is a Commercial Contractor Quality Floor Pad Driver,come complete with riser and mounted clutchplate. Super strong, and rebuildable if the need arises. Comes with NP-9200 clutchplate to fit most modern floor buffers. Measure the outside skirt of your buffer, and select a paddriver to match that measurement. Removes mastic, glue, epoxies, paint and many others things. Preps concrete floors and walls, block, wood, metal and more. Removes coatings without loading up or clogging the abrasive. Easy to use on all brands of existing 7" hand grinders with 5/8-11 thread. 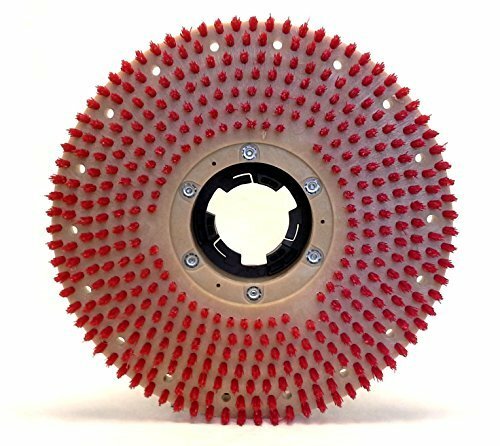 14" Pad driver to fit 15" Model Floor Machine Buffer/Polisher/Scrubber. Comes with Riser and NP-9200 clutchplate installed. 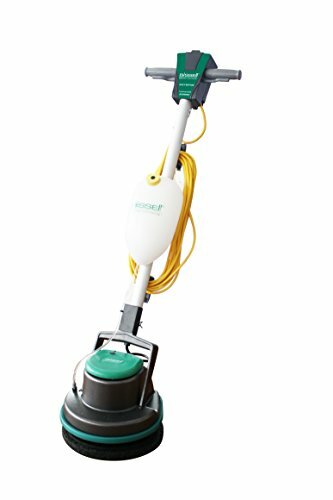 Fits many floor cleaning machines Tennant: F series 17 SS HD DS, FM-17-SS HD DS, FM-43-SS, Nobles: 1700 LS HD DS and FM-17-SS HD DS. Replaces part number 605124 and 603537. Product will only fit the machines listed in this description. Product will not fit Oreck machines.